Home / Blog	/ Painted Wolves Relocated From Zululand To Madikwe Game Reserve! Another collaborative effort took place recently to relocate Painted Wolves (also known as African Wild Dogs) from Zululand through to Madikwe Game Reserve in the North West Province. Such relocations across protected areas in southern Africa are a fundamental part of the effective meta-population management of the species. The 4 sedated male Painted Wolves being loaded into transport crates. Four male dogs were sedated by Ezemvelo KZN Wildlife veterinarian Dr Gabor Lukacs and local veterinarian Dr Mike Toft in the late afternoon and loaded into crates. 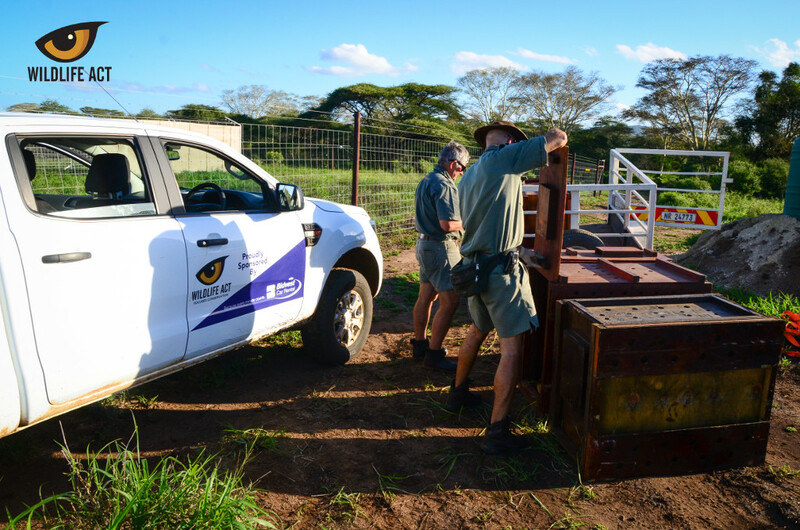 These crates were then packed onto a trailer attached to Wildlife ACT’s latest addition to our vehicle fleet; the Ford Ranger double cab that has been sponsored by Bidvest Car Rental. Senior monitor PJ Roberts and Dr Gabor Lukacs then drove these four males 11 hours through the night from Zululand through to their new home in Madikwe Game Reserve, where the team was met by North West Parks staff, Endangered Wildlife Trust staff and a local veterinarian. 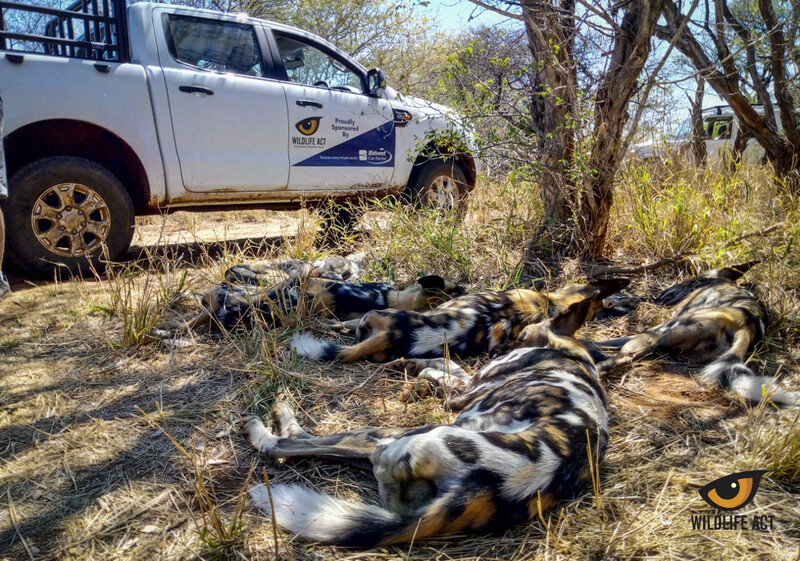 Following the sedation of five females in the Madikwe Game Reserve boma, the nine dogs were bonded together and allowed to wake up next to each other. The 5 sedated female Painted Wolves at Madikwe Game Reserve. Following this move, the Zululand team were hosted by Madikwe Game Reserve for two nights to allow for intensive boma monitoring to ensure the newly formed pack had successfully bonded. It is with great pleasure that we can confirm that the signs look positive between the males and females, and Madikwe will have a second genetically-strong pack roaming the reserve soon! Why are African Wild Dogs so Endangered?